Women’s Levi’s jeans - Demi curve - skinny bootcut Size 10. Good condition - only worn a handful of times. Skinny stretchy jeans. Only worn a few times. Purchased from Next online January 2019. Very comfortable. Smoke free and Pet free home. LADIES BLUE LEVI SKINNY JEANS FRONT ZIP FASTENING, FRONT AND BACK POCKETS, INSIDE LEG 29" ,JEANS HAVE BEEN WORN BUT ARE STILL IN A GOOD CLEAN CONDITION . Dispatched with Royal Mail 2nd Class next day. Knees are ripped lovely jeans selling due to weight loss Ladies Levi Ripped Jeans. Condition is Used. Dispatched with Royal Mail 1st Class. Ladies Womens Original Levi's 531 Skinny Black Denim Jeans - UK Size 12 S/C. Condition is Used. Dispatched with Royal Mail 2nd Class. Levi's Skinny Jeans, Size 12. Embroidered premiere logo 'This is a pair of Levi's Jeans'. Levi's special Autumn print material to the front pockets and RED tab to the rear right pocket as you would expect. ladies levi jeans 311 Shaping Skinny. Condition is Never been worn only tried on Dispatched with Royal Mail 1st Class. Very well fitting, I normally wear Waist 28 in Levi's, but sized down in these as very giving and flattering. Skinny leg. - Skinny fit. - Zip fly and button fastening. - High waist / rise. - 99% Cotton, 1% Elastane. Machine washable. Levi Skinny Jeans Black 25x32 . Condition is New with tags. Levi 711 Skinny Jeans in perfect condition. I have worn these jeans once and then realised they were too large so have worn them since. Levis 525 Nouveua downtowner bootcut stretch. Condition is Used, some wear due to age but shown in last 2 photos. Will be posted royal mail 1st class. Levis Boyfriend Fit Dungarees Size S (8-10) Summer Festival Jeans RRP £89 BNWOT -Brand New Without Tags Dispatched with Royal Mail 1st Class. Levi 501 CT Jeans W27 L32 Light Blue Wash with Rips. VGC. LEVI STRAUSS & CO. Condition is Used. These are genuine Levi's 471's. size 28" waist. arrives in perfect condition. REFERENCE: J4794 BRAND: LEVI STRAUSS STYLE: WOMENS LEVI 515 REGULAR BOOTCUT STRETCH JEANS WAIST: 32 WOMENS SIZE: 14 INSIDE LEG: 29 RISE: H HEM MEASURED FLAT : 9 COLOUR: BLUE CONDITION: WELL WORN FRAYS: YES MATERIAL: COTTON/SPANDEX STRETCH: YES LISTED BY : K.
Womens Levi Strauss straight leg stonewash jeans US10/UK14. Purchased in the USA where skinny equates to UK version of straight leg. Very comfortable. Used but in very good condition, no damage to stitching or hardware. Dispatched with Royal Mail 2nd Class. LADIES LEVI 501 SKINNY JEANS IN LIGHT BLUE. Paid £85 for these. WAIST 28 INSIDE LEG 30. 99% cotton 1%elastane. Front button closure and button fly. Womens Levis MILE HIGH SUPER SKINNY Stretch Black Jeans W29 L32 UK Size 10. Check our listing for more Offers are welcome Dispatched with Royal Mail 2nd Class. REFERENCE: J4871 BRAND: LEVI STRAUSS STYLE: WOMENS LEVI 505 REGULAR STRAIGHT LEG STRETCH JEANS WAIST: 30 WOMENS SIZE: 12 INSIDE LEG: 29 RISE: H HEM MEASURED FLAT : 8 COLOUR: BLUE CONDITION: WORN FRAYS: NO MATERIAL: COTTON/SPANDEX STRETCH: YES LISTED BY : K.
Condition i s used but good condition. Ladies Levi 501 Skinny Jeans W26 L32 In Frayed Hem Style. Condition is Used. Dispatched with Royal Mail 1st Class. Worn and washed a few times but still in great condition. REFERENCE: J4813 BRAND: LEVI STRAUSS STYLE: WOMENS LEVI 515 REGULAR BOOTCUT STRETCH JEANS WAIST: 30 WOMENS SIZE: 12 INSIDE LEG: 31 RISE: H HEM MEASURED FLAT : 8 COLOUR: BLUE CONDITION: WORN FRAYS: NO MATERIAL: COTTON/SPANDEX STRETCH: YES LISTED BY : K.
Levi TRUE VINTAGE boyfriend Jeans. Size Waist 31in Leg 32in. Levi TRUE VINTAGE boyfriend Jeans. Size Waist 31in Leg 32in. Small tear on the right knee as part of the design of the jean Condition is Used. Dispatched with Royal Mail 2ndClass. Ladies Levi bootleg Jeans Size 12 in amazing condition as only worn a few times. Ladies LEVI demi curve straight leg stretch jeans size 29 L32" LEVI STRAUSS W29"
Levis straight leg jeans in size 29. The inside leg is 32" and across the hem is 7.5". They are wide leg, like mum jeans. No defects. LEVI’s. 30 DEMI CURVE, MID RISE, STRAIGHT LEG STRETCH JEANS. -WAIST 30”. LEG 30”. Condition is good but has slight colour change to in between legs doesn’t show when on reflects in starting price Dispatched with Royal Mail 2nd Class. Usual quality and style from Levi. Excellent condition. Super skinny. Dark Denim Blue. 27" Waist/ 32" length. Pair of Levi’s jeans, cotton with elastane so have a stretch which is very flattering and suits any shape. They are Levi’s modern rise and slight curve, equivalent of a petite size 6. Machine washable on a 30 degree setting. They are skinny slim jeans, with a tapered leg tight at the ankle. Two pockets on the front and two on the back. They fasten with a zip and button. I’ve recently had twins so having a clear out of anything that doesn’t fit or suit me anymore. This is the only reason for sale. I’ve only worn these jeans a handful of times so they are in excellent condition! If you have any questions or would like any more information just let me know. Many thanks! Ladies Levis 711 SKINNY Dark Blue Low Rise Stretch Ankle Jeans Size 10 W30 L32. Condition is Used but only worn once. They are practically brand new. Dispatched with Royal Mail 1st Class. Levi Womans Jeans worm effect with ripped knees ‘ Eve ‘ square cut. Genuine Demi curve Levi jeans with stretch. Classic rise, slim leg. REFERENCE: Z0228 BRAND: LEVI STRAUSS STYLE: WOMENS LEVI REGULAR BOOTCUT STRETCH JEANS WAIST: 34 WOMENS SIZE: 14 INSIDE LEG: 31 RISE: H HEM MEASURED FLAT : 9 COLOUR: BLUE CONDITION: GOOD FRAYS: NO MATERIAL: COTTON/SPANDEX STRETCH: YES LISTED BY :. 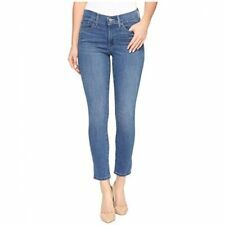 Ladies Levi's Demi Curve Bootcut Jeans. Superb pair. Leather tab on back of waist. Leg 28.5/29". ladies levi jeans 314 Shaping Steaight Size 16W. Condition is Used but in a really good condition, worn only a handful of times. Dispatched with Myhermes. From a clean smoke free home. W or n on ce l ad ie s Levij ea ns. 3 11 s ki nn y shaping. Vintage HIGH WAISTED LEVIS Straight Leg Distressed Paint Splashed MoM JEANS 29"